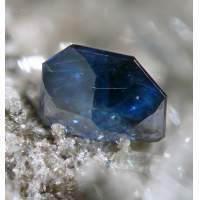 This group became a joint group of the Mineralogical and Geological Societies at the beginning of 1997. It was previously known as the Volcanic Studies Group. It promotes the study of physical volcanology, igneous geochemistry and petrology, volcano geophysics and related subjects by stimulating a wider interest in volcanology and magmatic processes, and it facilitates the exchange of information between members of the Group and with others working in similar fields of interest. Regular meetings, workshops and field trips are organised. Bursaries are also provided. Further details about the group are available from the secretary.